Standard - $11.99 Only 9 left! Alright, let's face it. You're a muggle, a no-maj. You've applied to Hogwarts on several occasions without ever getting a reply. We've been there. After tons of failed attempts to join the wizarding world, we've realized that we just won't be casting a patronus spell of our own. But it's nothing to get too gloomy about! You can always take a bit of style from Fantastic Beasts and Where to Find them and incorporate it into your own style. 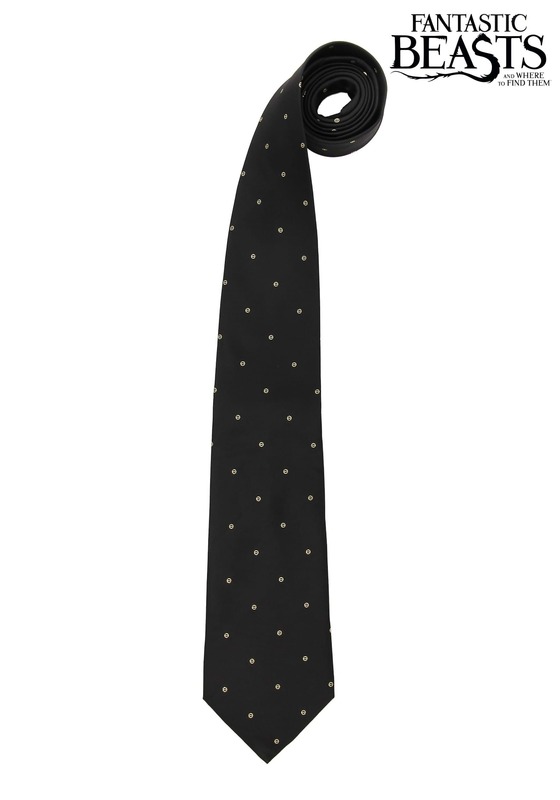 This Percival Graves Necktie recreates the one worn by Colin Farrell in the new movie in the Harry Potter world. It might not help you get into MACUSA's Department of Magical Law Enforcement, and it may not help you get into Hogwarts, but it will have you looking like one stylish wizard.